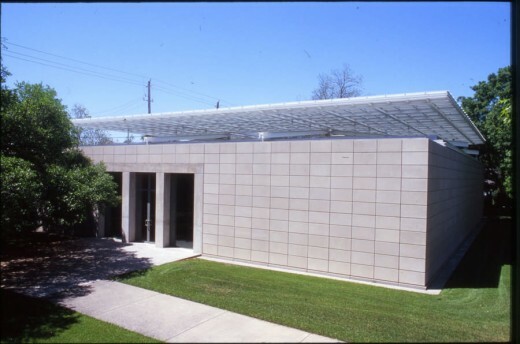 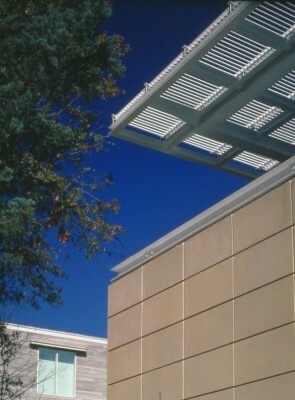 Commissioned by Dominique de Menil and opened in 1995, the Cy Twombly Gallery is architect Renzo Piano’s second U.S. commission (the first being the main building of the Menil Collection). 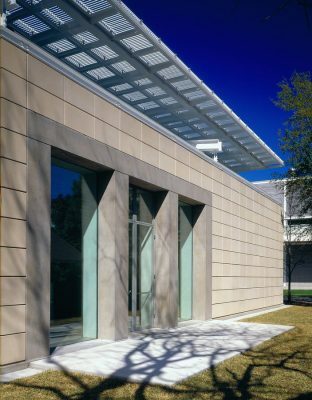 Based on an initial sketch by Twombly himself, the building features an exterior of pre-cast, scored concrete (the façade is meant to resemble stone blocks). 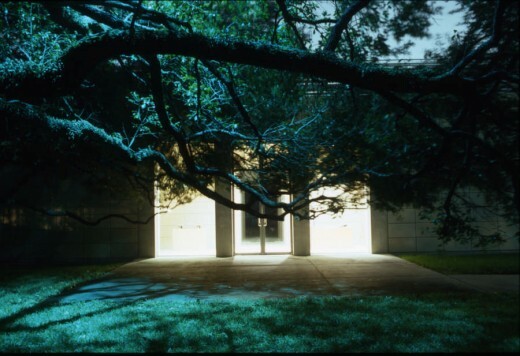 Turned demurely away from the street, the entrance faces a great live oak tree on the east lawn. 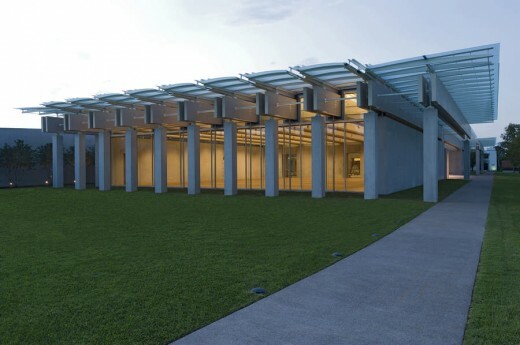 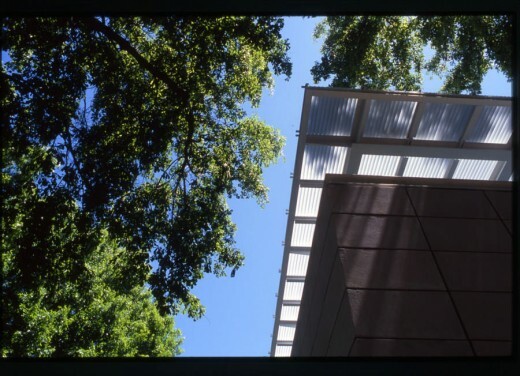 Like the main building across the street, the Cy Twombly Gallery possesses a sophisticated roofing system of filtered glass and steel louvers. 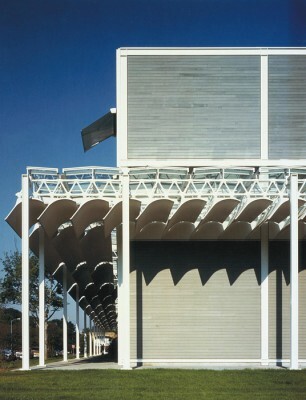 Described by Piano as “a butterfly alighting on a firm surface,” a grid of white steel seems to float over the entire building. 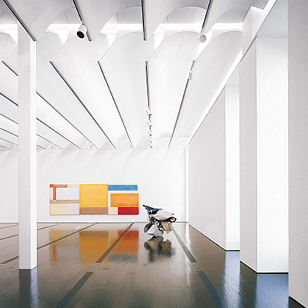 Throughout the 9300 square-foot interior, canvas sailcloth ceilings further modulate the Texas sun, with light playing softly on the galleries’ plaster walls and white-oak floors.